Becoming a museum temporarily on the go, SFMOMA closed its doors on June 2, 2013 for an expansion. The closure presented a vast new arena in which to focus: the world outside the museum and online. 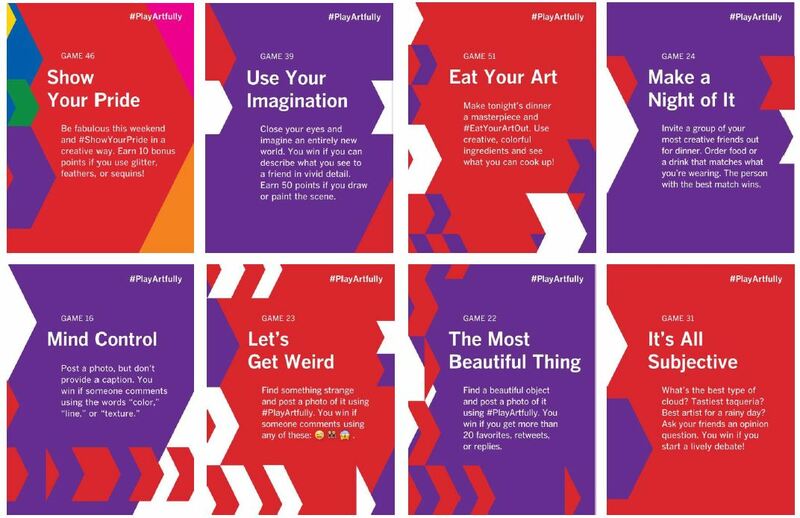 #PlayArtfully was a series of tiny games, activated through social media, that encouraged players to look at the world around them in new and creative way, enriching the perception of the museum and the arts as a catalyst for play and participation. While the games were diverse and included a variety of calls to action, they shared the underlying goal of getting players to think creatively in order to see art in the everyday world. These tiny games, interventions into the everyday, intended to be playfully disruptive as they inspired players to engage with the people, community and world around them. 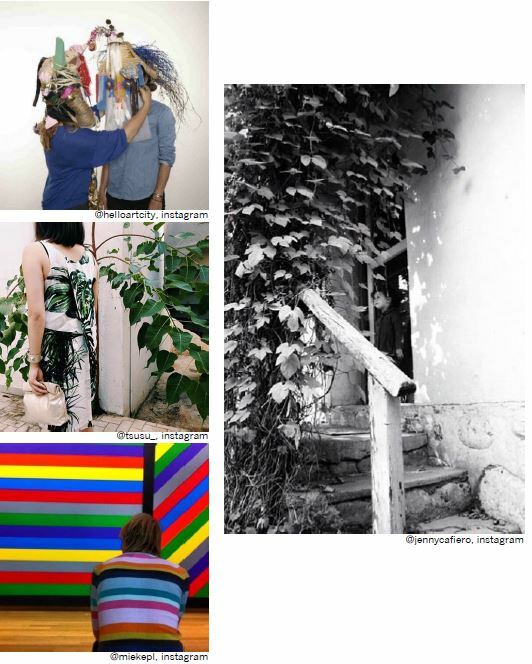 The nature of #PlayArtfully was highly engaging, often focusing directly on asking players to share their photos and ideas. The prompts that challenged players to be creative and thoughtful, resulting in a pool of high quality user-generated content. 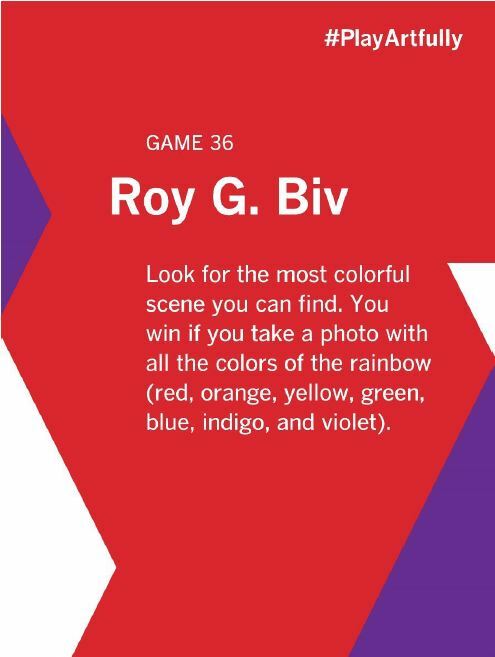 The prompts of the digital games sought to encourage a broad audience to see their world in new and colorful ways. Capturing the rainbow. 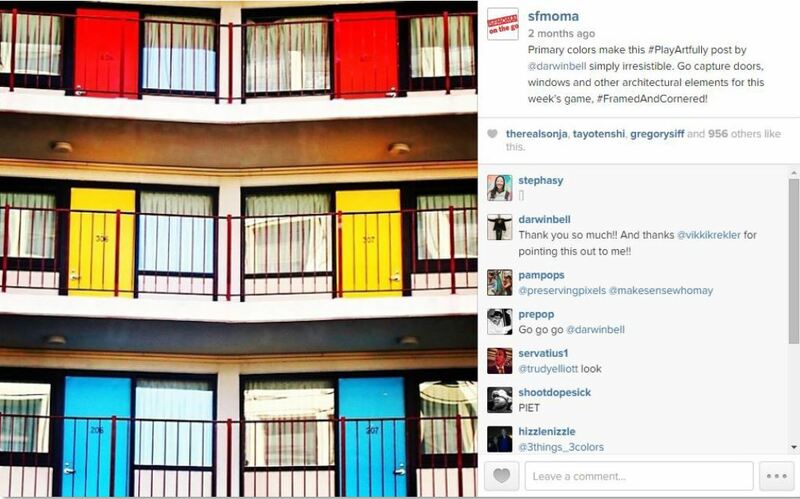 Examples of user-generated content in response to the Roy G. Biv challenge. 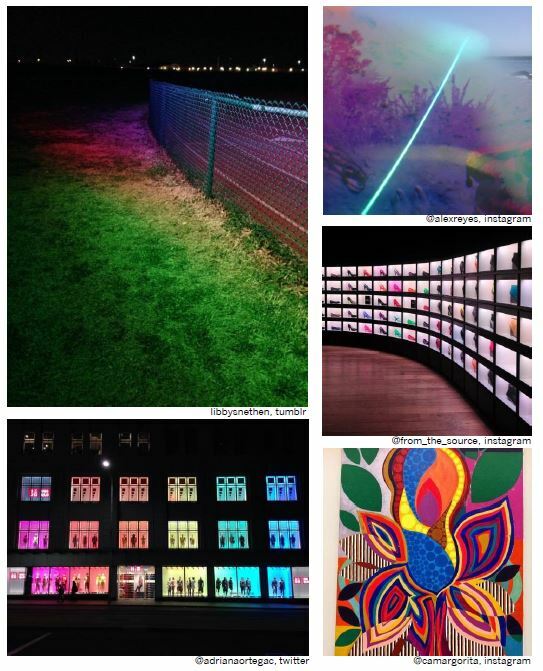 The #PlayArtfully games enabled players to share their own artwork when it fit within the guidelines of the prompts. The most successful games inspired creative and varied batches of user-generated content. 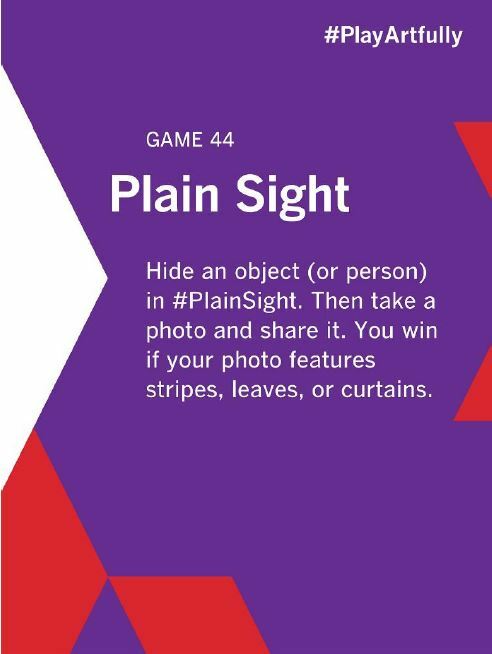 Plain Sight challenged players to conceal themselves among objects, which resulted in clever and inspired responses. The #PlayArtfullygames were flexible and intuitive, so players were free to interpret the prompts in ways that made sense to them. 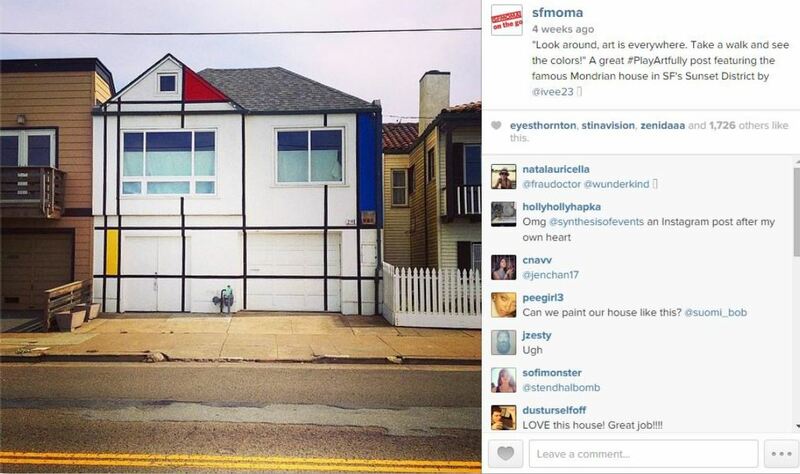 Surprises arose when we saw the community make their own connections to SFMOMA exhibitions and other initiatives in fun and natural ways.